Pippyman has major stranger danger. He can be timid and afraid sometimes. He likes to bark at small children walking down the street (they are a very serious threat). Pippy can get really excited and have a hard time settling down and tucking in for a rest. He’s chatty, and likes to make noises. He smells great, all of the time. Almost like cereal. Pip takes great joy in sneaking through the small crevice of an open door, and then bouncing around the neighbourhood. He will never run away, yet will never come when you call him. It is the most perplexing thing to be able to see your dog, reach him with your fingertips, yet never be able to grab him in time before he wiggles away. For all his craziness, he is still the fluffiest and sweetest, happiest pup we could ever ask for. Pip is beautiful and lovely and a great listener. Pip likes lots of things. He likes his bone, and belly rubs, and anything that involves his leash. He likes snuggling, and his “girfriends” (basically MY girlfriends that Pip is really into). And he loves his treats. The doggie daycare we take Pip to always gives us a report card of how he did. The report cards say things like: “I love to sleep!”, “I love my food!”. And he does love his food, I can’t recall Pip not eating anything offered to him. He adores apple and carrots, cucumber and mango. Summertime in Mum’s garden is happy days for Pippy. He also goes bananas for peanut butter. When I first saw this recipe on the wonderful White on Rice Couple site, I knew he would love them for the peanut butter. These treats are really easy to whip up. 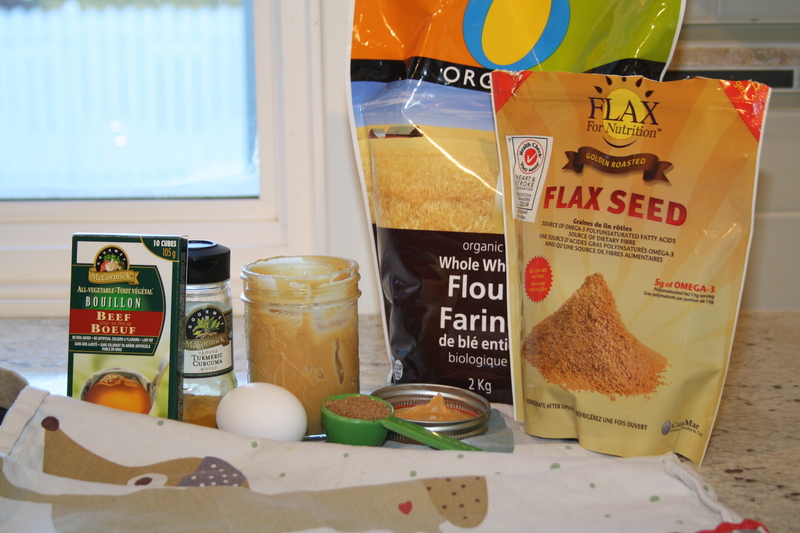 The original recipe calls for ground flax, but I only had flax seeds so those went in instead. Using parchment on your baking sheet makes for super easy clean up. These are the only treats Pip has ever begged for in the kitchen. And by beg, I mean bark. He will sit and stare and bark. 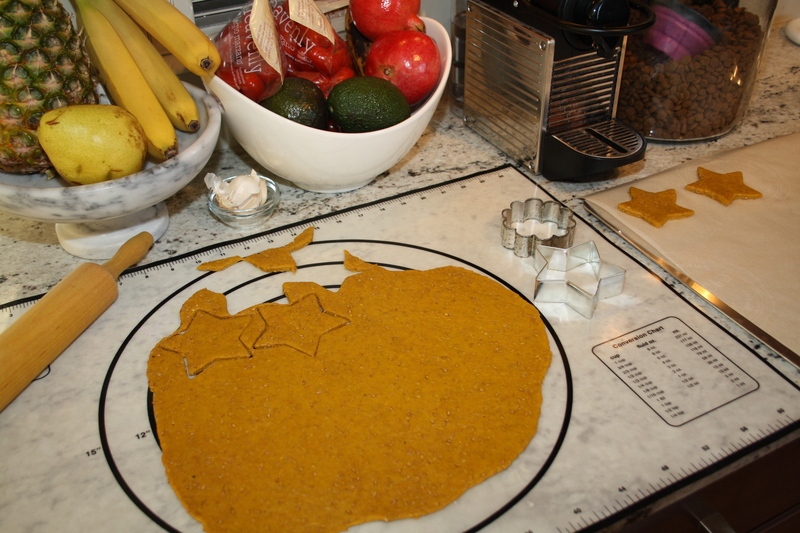 You can use any shaped cookie cutter you have, or make several different sizes for training and rewards. I like knowing exactly what is in these, and that Pip loves them so much. 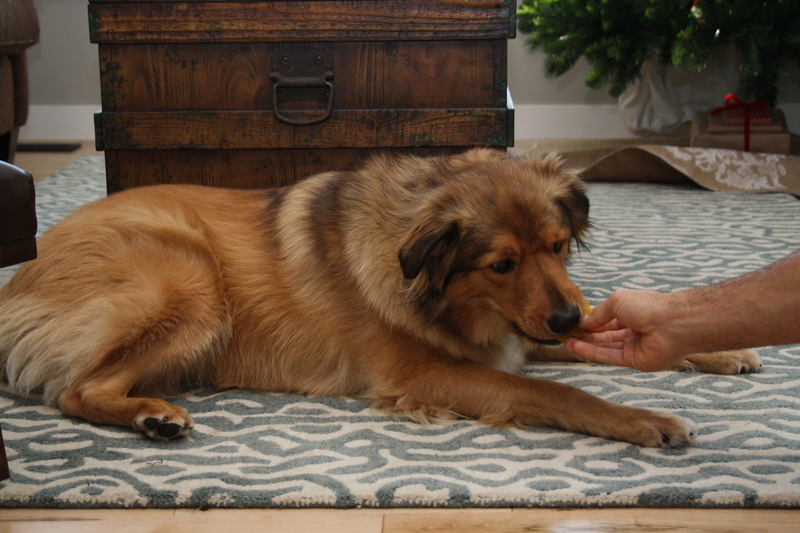 Pippyman, fur baby, most sweetest boy – happy birthday!! Using a kettle, or very hot tap water, dissolve the bouillon cube in the hot water and set aside. 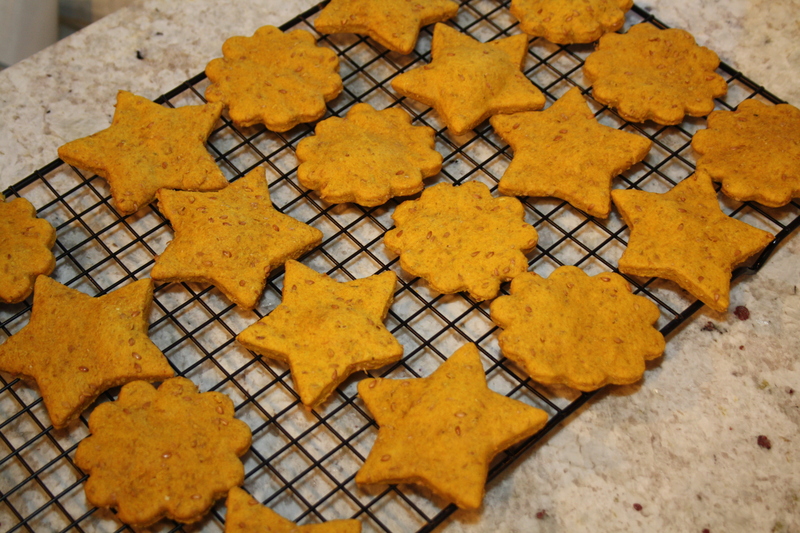 Stir the flours, brown sugar, flax seeds, and turmeric in the bowl of a stand mixer. 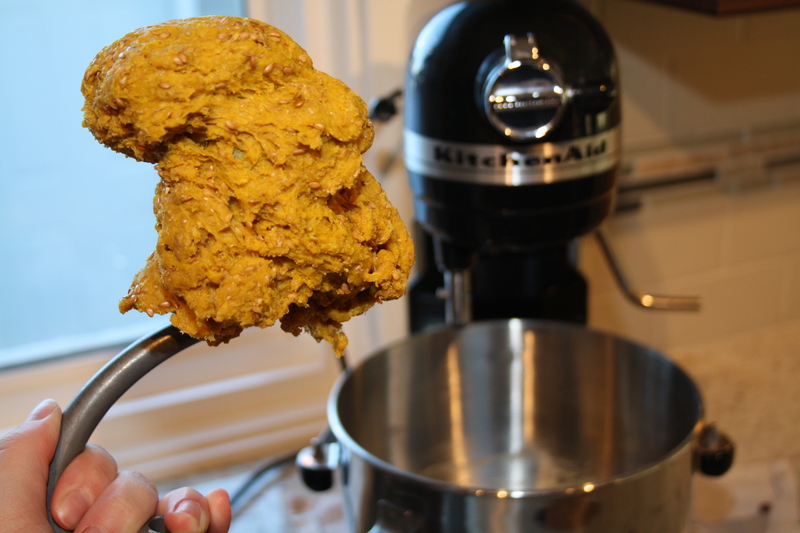 Using the dough hook, start the stand mixer and add the peanut butter, egg, and bouillon hot water. 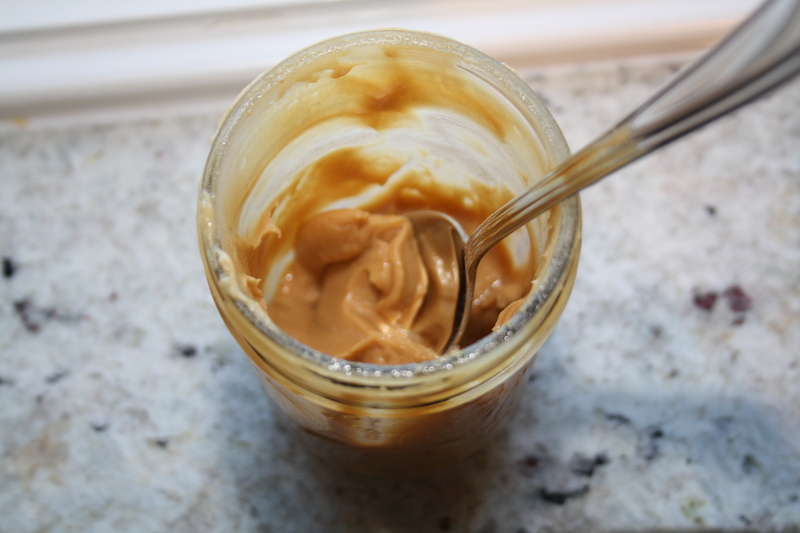 You may need to scrape down the sides of the bowl from time to time. After a few minutes, the mixture will come together and form a ball. Roll out your dough until it’s about a 1/2 inch thick. Use a biscuit cutter or your favourite cookie cutter to cut treat shapes. Place the shapes on a parchment-lined sheet pan. 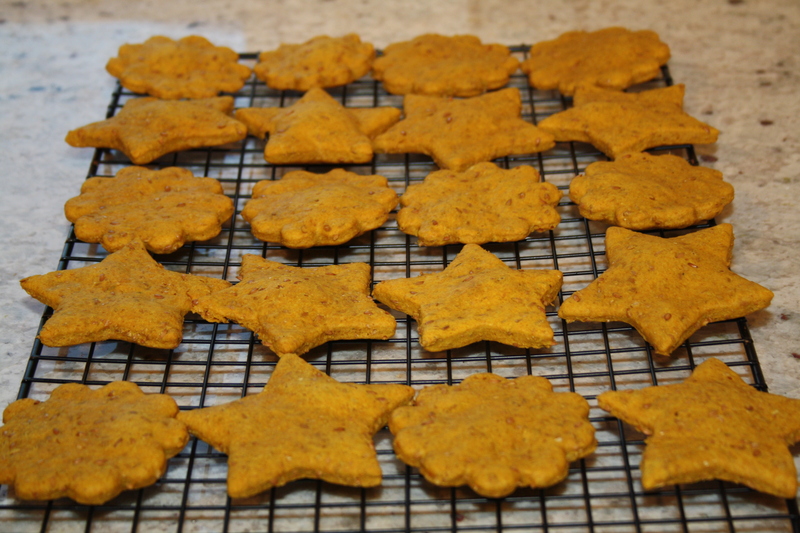 Bake for about 25 minutes, or until the treats turn golden and slightly puff. Let cool on a cooling rack, then store in an air-tight container.